Whether you are starting a new business or promoting your company, we can provide a full design and application service to ensure that your business stands out above your competitors. 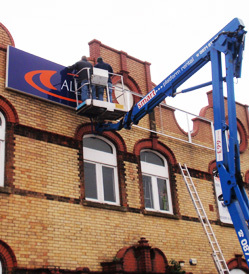 We have delivered many sign branding solutions for a diverse range of London based clients. We work with our customers to provide signage and graphics that promote businesses to the highest degree. Contact us today for a quotation or for further information.